Splashy waves and a few holes to hit. Crossing under the train tracks is the biggest hazard. Stay close to the left column to avoid the downriver right column. Some sharp metal on the columns. 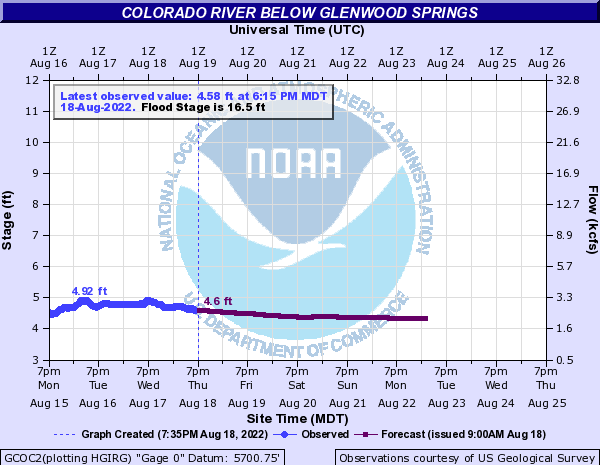 Over 20,000 cfs it gets ugly, but still is runnable. Dinosaur hole should be avoided, run right. Large boulder in the middle of the channel that forms a keeper hole above 3500 cfs. Follow the tongue on the right. Riverbend Rest Area from eastbound I-70, or driveby from right shoulder. Best to scout from road while running shuttle.